If you need a little cleaning motivation. I have a new Clean With Me video on my Youtube channel. I know it’s been a minute but I’m back with brand new motherhood content, organization hacks, and beauty tips. Life has been a whirlwind for the past few months (more about that coming soon, but 2019 is here and it’s time to get things in order. Let’s face it as moms, wives, career women, and entrepreneurs our day is jam-packed with numerous to-do items. With that being said, one of my goals for the new year is finding ways to better organize my days, weeks, and months so that I can conquer these tasks efficiently. So to kick things off, today I’m sharing my top 5 busy mom must-haves. 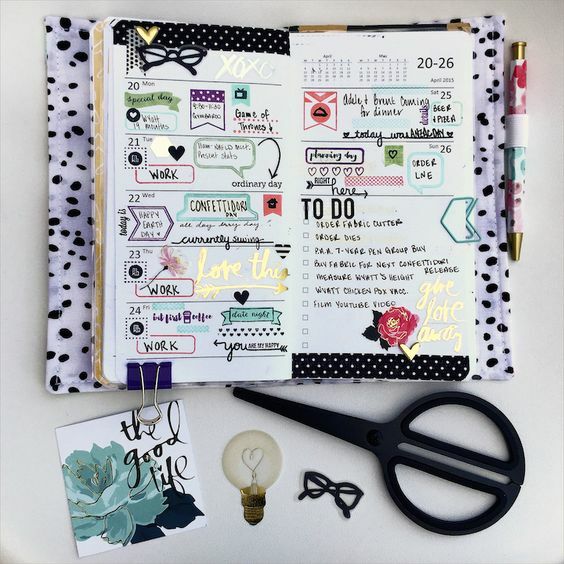 Planners: Raise your hand if your life revolves around your planner. I’ll be the first to admit my planner keeps me sane. It helps me keep track of my personal tasks as well as my family’s busy schedules. The personal planner I’m currently using is the Glamorous Planning Planner, but usually, Michaels is my go-to spot for all things planner related. Functional Purse/Tote Bag: I’m so guilty of carrying around my purse, work bag, and iPad case because I never know when I’m going to need something. But lately, I’ve been following the motto “Work smarter, not harder.”; so I decided to invest in a more functional tote bag which can hold everything I need while I’m on the go, but still looks cute. Piper Nobel makes amazing functional totes and purses and is a great starting point for anyone interested in consolidating their load. Digital Calendar: All phones and most tablets have some sort of digital calendar. Since my phone uses Android my go-to is Google Calendar. I love the fact that I can add events and appointment directly from my email, sync my info across various platforms and devices, and share planning items between my husband and me. If Google isn’t your thing, then check out your respective app store for the hundreds of calendar options available there. Checklist App: Checklist apps are great for ensuring the more immediate to-do items in your life are taken care of. There are a million checklist apps so research and find the one that works best for you. My current favorite is Wunderlist: it’s very user-friendly and helps me keeps my day together. Water Bottle: I know this seems random but daily water intake is vital. Personally, having some form of a water bottle with me is a great reminder to mind my water intake. The cup I use the most is my Zak! brand tumbler, which is similar to the more expensive Yeti cups but is way more affordable and just as effective. I hope you find these tools useful and be sure to hit the comments below with some of your busy moms must-haves. Although it seems like summer has just began, school is back in session for our little ones and many parents will want to know the must-have items for the new year. Aside from running BeeSoSimple, I spend my weekdays teaching a wonderful group of 2nd graders; meaning I have the benefit of having the perspective of an educator and a mother simultaneously. So it’s only right that I share my insight with all of the hard working and active moms reading. Now, most teachers may send home a list of items for students to have in the classroom, but today I’m sharing a special must-have list tailored towards busy moms. No matter if you are a part time, full time, stay-at-home or a mompreneur this list is for you. Planner: I will be the first to admit that I’d be so lost without my planner; it truly is my lifesaver. One of my new year goals was to be more organized, so writing down my events of the day, workout schedule, and Brielle’s gymnastics classes has helped me keep track of everything and eliminate a little stress in my life. Tote/Bookbag: As I mentioned above I am a teacher, which means at the beginning and end of my work day I’m lugging around lesson plan books, a school issued tablet, and a laptop to and from home. Instead of carrying multiple bags as I have in the past, I have settled on carrying a stylish book bag to keep my work related items in. This book bag will not take place of my purse but it’s great storage for items I need during the day that won’t fit in my purse. Coffee Mug: “But First Coffee.” This honestly should be my personal motto. Coffee is a must when Will and I have been up and down all night dealing with a fussy toddler and I have a jam-packed day ahead of me. If you make your coffee at home or make a stop at your local Starbucks, having something cute to put your coffee in can help start the day so much better. Mom Hat: Target runs, picking the kiddos up from school, and last minute lunch dates are just a few examples of short notice events that may catch you and your hair off guard. Every momma needs a collection of go-to hats for those instances when we just don’t have time to go the extra beauty mile. Dry Erase Calendar: Let’s be honest, being a mom has a million side jobs that go with it and it’s easy for us to forget something every once in awhile. Solution: a dry erase calendar. We keep our calendar on a wall in the kitchen where everyone can see and modify it as needed. Not only does it show our daily schedules and routines on it, but it helps us keep track of upcoming appointments, bills, and events. What I love most about the calendar is how easy it is to change while still helping keep the whole family on the same page.